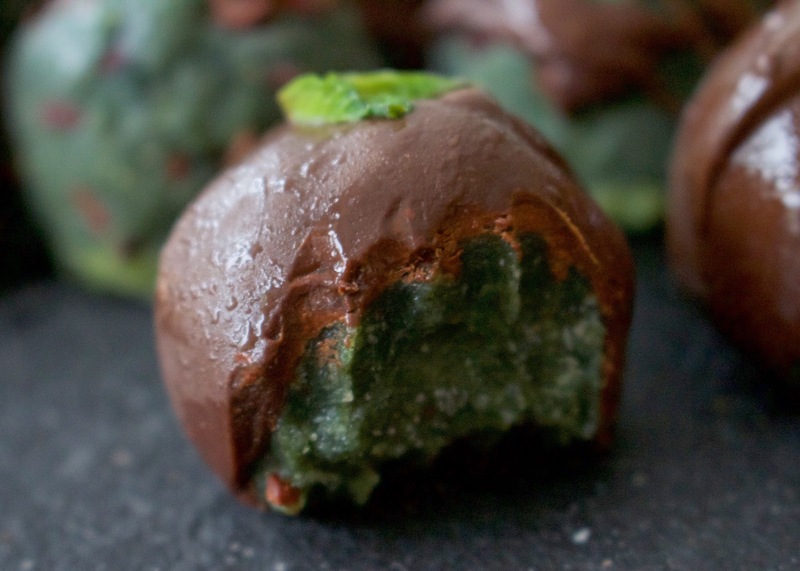 I’ve been meaning to make mint choc chip balls for aaaaages, but somehow I never ended up getting round to it. I really don’t know why, they’re such a no brainer – mint plus chocolate equals deliciousness – but better late than never hey! These make for the perfect post dinner palate cleanser, but I’m not one for being time-ist so I’d say they’re a pretty awesome daytime snack too. The first time I made these I didn’t add any green colouring in, so they ended up being a light brown colour which made me a bit sad if I’m honest as in my opinion minty things ought to be green. 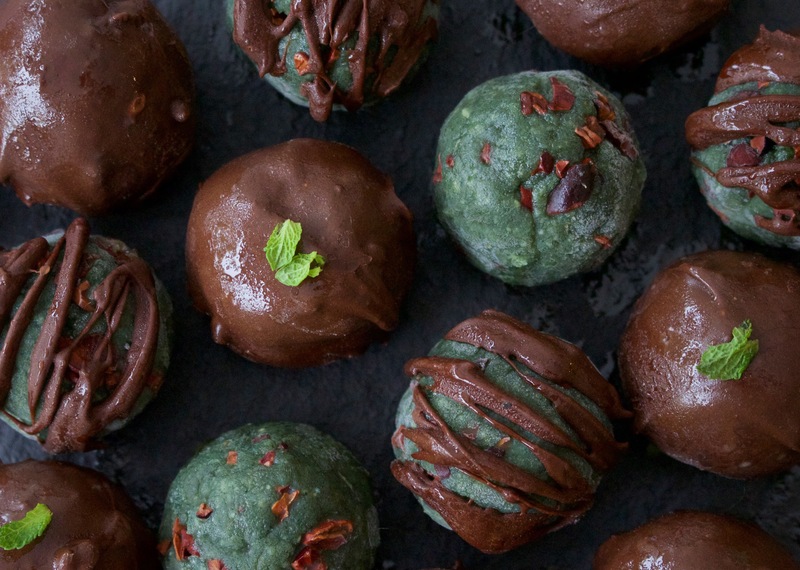 So the next time I whacked in some spirulina powder too, thus making my balls not only look the part but making them even more amazing for your body too. If I take a minute to get all superfood on you, these beauties have not only the antioxidant packed benefits of cacao nibs (think disease prevention and slower ageing) but they’re also full of protein, iron and calcium thanks to the spirulina (which is claimed by many to be the most nutrient dense food on the planet)! Oh and don’t forget all those lovely good fats and protein from the almonds and cashew butter too! So all in all, these look the part, taste amazing and are pretty damn good for you, time to get balling I’d say! To make the balls, pop all the ingredients except the cacao nibs in a food processor and whizz for a couple of minutes until the mixture forms a big sticky green ball. Pulse or stir in the cacao nibs, then with your hands fashion into little balls. Pop these in the freezer for an hour to set while you make the chocolate. For the chocolate simply combine the ingredients in a bowl and stir well, then remove the balls from the freezer and either dip them in or drizzle the melted chocolate on top.